3) Communism seems like a remarkably straightforward political/philosophical factor that might explain why China and Russia end up right next to each other. But instead this seems to reveal a previously unrecognized similarity between Orthodox and Confucian societies. 4) Northern Ireland is more Catholic than Ireland. 5) Poland somehow ends up in the grab bag category with India, Cyprus and Thailand. Also, come to think of it, just how Muslim is Zimbabwe? And do they speak English in South Africa? It's hard to tell with the accent. 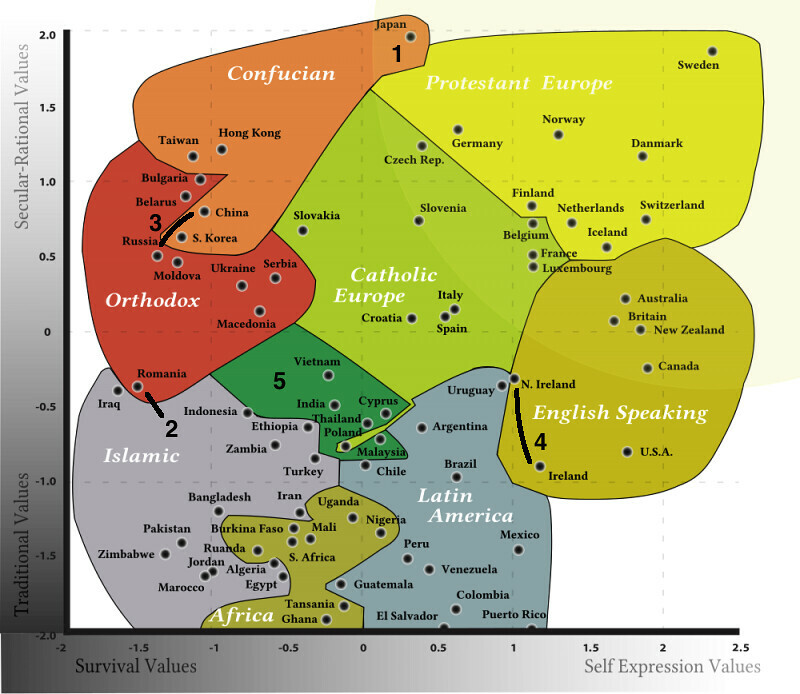 Charts like this make you long for the days when people would just come right out with their prejudices by mapping the world according to General Progress.